Title: A Providential IntimationAuthor: Ambrose BierceSummaryJarvis awakes in an angry mood. He stumbles through his morning and finds himself at a pool table. He makes a great shot and then decides to try it again, when Mr. Stenner bets him that he cannot repeat it. The result is that Mr. Stenner ends up with Jarvis's coat. In the pockets, he finds a telegraph instructing him to buy Sally Meker. Upon reflection, he realizes it is the name of a horse and that this must mean the race is fixed. He gathers up as much money as he can and contacts the only man he knows in San Francisco to buy Sally Meker. When he arrives, he learns that the horse was injured but also learns that the horse was named after a mine and the mine just struck it rich. The man is devastated to think he has lost his money but only to find out that the man, a parson, to whom he had sent instructions had actually bought the stock for the mine. The following is part one of a two part guest blog post that I wrote which was published on WGBH's On Campus blog. It's in response to the most recent report, Degrees of Urgency from the Massachusetts Department of Higher Education. 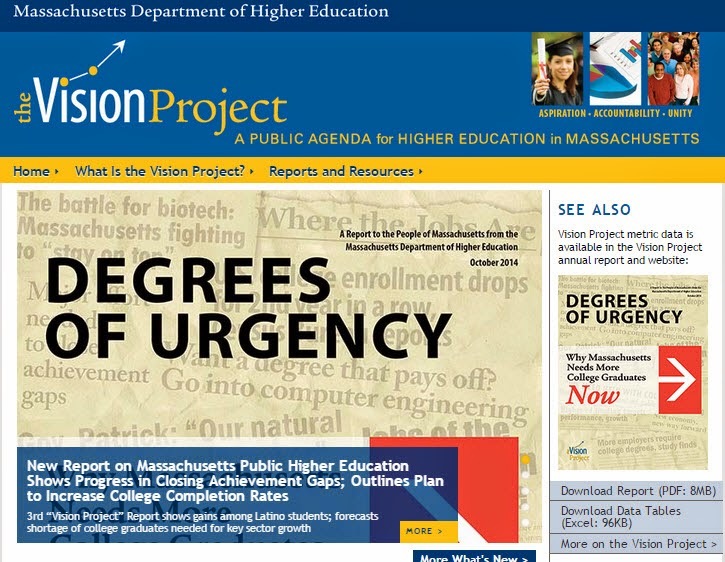 "In late October, the Massachusetts’ Department of Higher Education released its “Degrees of Urgency” Vision Project report. It addresses challenges for state colleges and universities as demographic shifts in the next decade will result in smaller student enrollments. In New England, colleges can anticipate a 9 percent or more population loss. 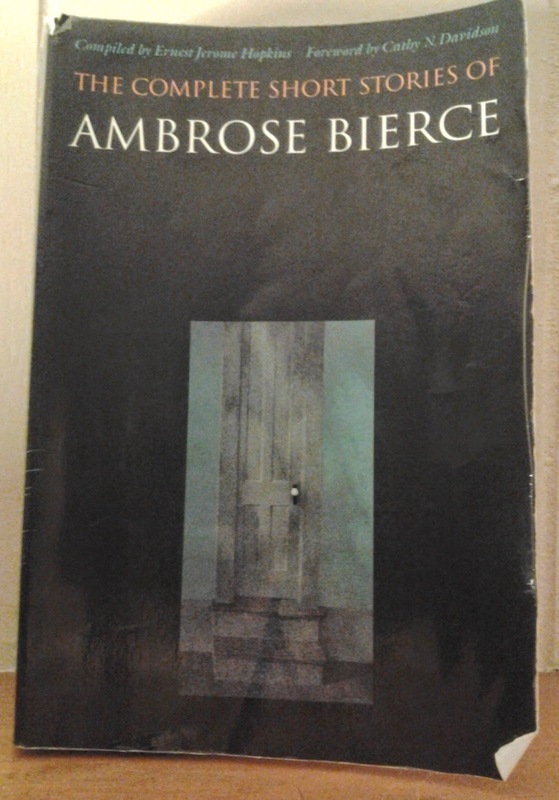 Title: The Failure of Hope and WandelAuthor: Ambrose BierceSummaryThe story is a series of letters between two men who run a business together, Hope and Wandel. Hope is writing from Chicago where he was unable to send items to Wandel to sell in New Orleans because Lake Michigan is frozen solid. However, this gives Hope an idea about starting an ice business to ship to New Orleans since ice is so rare. He includes a piece of ice in his letter to Wandel, which only melts and smudges the letter. The two write back and forth and Hope promises him a giant warehouse of ice that he can deliver to New Orleans and make a massive profit. However, as spring comes and Hope attempts to send the ice, disaster strikes and it melts. Hope tells Wandel that he should beat it from the creditors. ReflectionIt's a short but pithy story with the quick back and forth between the two partners. It's amusing but not much to consider beyond that. Title: Three and One Are OneAuthor: Ambrose BierceSummaryBarr Lassiter comes from a poor Southern family and chooses to fight for the North despite this putting him at odds with his family. While with the Federal army, they at one point return to his city of origin during a campaign. The city has been taken by the Federal troops and so Barr decides to visit his home. Inside his home, h finds his family members. He tries to talk to them and explain to them but they merely ignore him and leave him. He leaves and as he returns the next day, he encounters a friend who offers to accompany him. As they arrive at the house, it is a burnt out shell and the friend explains that the family had died a year ago when it was bombed. Reflection Once Barr arrived at the house and none of his family members would talk to him, I largely assumed that he was talking to ghosts.